Relationships are hard enough and being with an addict is even more challenging. Deciding whether to stay or go is a personal choice and must take many factors into consideration. Before getting into how to manage a relationship with an addict, it’s good to check in to see if the relationship is serving you or depleting you. According to rightstep.com, they’ve outlined 3 reasons to consider staying and 3 to consider leaving an addict. a) you're enabling your partner, such as loaning them money, if you’re putting their needs before yours, or if you feel like you can save them somehow. b) your partner is emotionally unavailable to you. Are you losing sleep? Feeling anxious or depressed? Finding it difficult to concentrate? These are signs that you’re not being fulfilled in your personal life or in your relationship. c) you’ve lost hope that things will get better. Are you sick of the never-ending cycle or the fear of relapse? a) you’ve taken steps to avoid enabling - you engage in your own counseling or support groups, and have tools to keep hope about the future. b) Your partner has a solid relapse prevention plan - They actively participate and invest in their recovery. c) You’re both getting the support you need. Does your partner prioritize recovery and the relationship? Have you found the balance together? Considering these topics can help you to understand if it’s worth it to continue investing your time and energy into the relationship or if it’s time to move on. If you do find yourself in a long-term relationship with an addict, these are 5 ways you can safeguard yourself and manage your relationship. It’s easy to take a partner’s use and addiction personally but most times it’s not about you. It may be a reaction to stress or something you’re a part of but their actions are not a reflection of you. Therefore, it’s important to encourage your partner to get real help and to invest in their treatment. It’s also important not to take responsibility for their treatment and to set boundaries and limits for yourself. How much will you take? At what point do you walk away? What are you willing to put up with? Understanding these boundaries will help you to clearly examine how to best move forward if your partner is not taking their sobriety seriously. There are many resources like Al-Anon meetings and meetings for codependency that could provide a nice network and community as you’re dealing with the reality of dating an addict. It can be a burden to support an addict and the more support you have, the less heavy that burden will feel. You might also consider one-on-one or couples therapy as well. Make sure you stay connected to your own support system of family and friends and that you don’t lose yourself in your partner’s recovery. 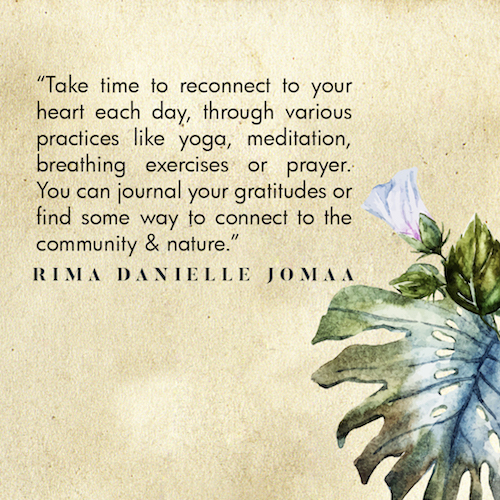 Take time to reconnect to your heart each day, through various practices like yoga, meditation, breathing exercises or prayer. You can journal your gratitudes or find some way to connect to the community & nature. Book a regular massage appointment or enjoy a solo lunch date. Take time to reflect on your own process and progress independent on the relationship the and addiction. Otherwise you risk becoming wrapped up in helping the other. Put yourself first and nourish your love for yourself. Boundaries are so important in all relationships in life but especially with an addict. Know when it’s time to let go and do so swiftly. Don’t let yourself go down with the ship. You can set rules. For example, if you see them using while you’re together, it may be time for some distance. Communicate these boundaries with your partner so they know where you stand and what you won’t accept. You can say, “I completely support you and your recovery, but I can’t be with you if you’re using. This is nonnegotiable for me and I will have to distance myself from you if that happens.”. This will prevent you from growing resentful down the road if your lines are crossed or you start to enable their behavior unknowingly. If you’re done… leave. There’s not room for guilt in this situation. You can’t save someone else, you shouldn’t try, and you shouldn’t want to anyway. If the fear of hurting the other is keeping you in the relationship, know that love can never be based in fear and that you need to work through this in therapy or in some other way so you can move forward. If your person isn’t willing to help themselves, they’re not loving themselves or you so focus your attention on letting go. It’s easier said than done.